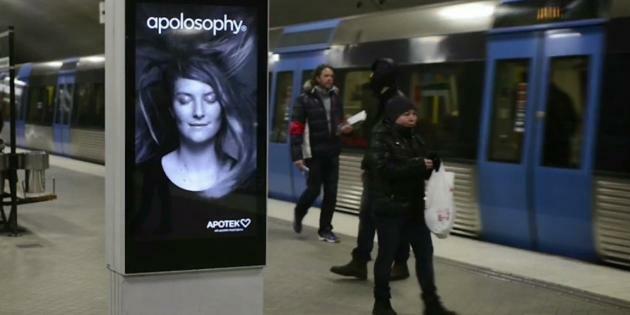 "On behalf of Åkestam Holst and Apotek Hjärtat we modified one of Clear Channel's Play screens on Odenplans subway platform. The mission was to capture the effect of the turbulence from the train and make it look like the models hair on the screen was caught by the breeze. To do this we needed to build a device that could be calibrated to sense the arrival of the train and not react to passing passengers. Using an ultra sonic sensor, connected to a Raspberry Pi and a local network socket, we connected our device to the screens computer where the film could be activated by the passing trains. Stopp managed the shooting and post production of all video material used for the customized screen at Odenplan and all other Play screens around the subway. 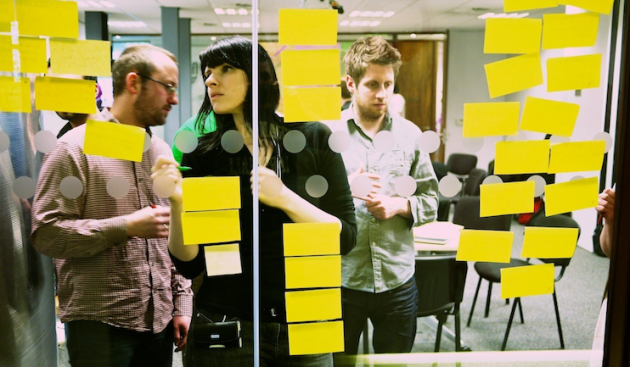 A simple idea, well executed, that let us use existing technology in a new way. The installation was appreciated by the head of Clear Channel and as a result Apotek Hjärtat was offered to keep it live for five additional days, as a way for them to show the opportunities their screens can offer."